DELHI: The government will make necessary framework for encouraging investments in “seaplane activities”, Finance Minister Arun Jaitley said amid efforts to bolster air connectivity. Seaplanes are typically fixed-wing aircraft with much fewer number of seats and can take off from, and land on, water, reports PTI. “Government will make necessary framework for encouraging investment in sea plane activities,” Jaitley said while presenting the Union Budget 2018-19. A seaplane trial run of no-frills airline SpiceJet was done off the Mumbai coast in December 2017. The carrier also plans to purchase more than 100 amphibian aircraft at an estimated cost of USD 400 million. SpiceJet Chairman and Managing Director Ajay Singh today said that he was pleased that the finance minister has recognised the airline’s experiment with seaplanes as well as its viability in promoting tourism and emergency medical care. “This project has the potential to convert every river into a runway and every pond into an airport thus providing hundreds of thousands of airports to the country,” Singh said in a statement. 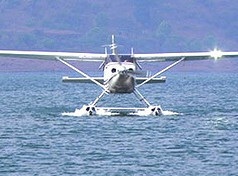 In December, Prime Minister Narendra Modi had flown in a seaplane. 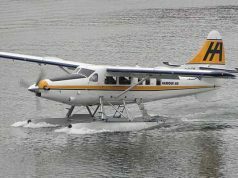 Transport, Highways and Shipping Minister Nitin Gadkari has been mentioning about huge growth potential for seaplanes as well as pitching for manufacturing such aircraft in the country. 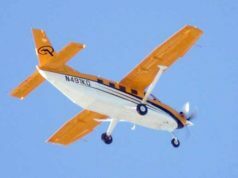 The minister had also asked Civil Aviation Minister Ashok Gajapathi Raju to explore a regulatory regime for single- engine seaplanes.